Belleville springs DIN 2093 made of stainless steel 1.4568 ( 17-7PH ). Designed to dynamic or static works as well. These springs made with this material has a good resistance to corrosion, so are able to work at inside or outdoor aplications. It is necessary to consider some force differences respect standard material, because of the elasticity module of this material. 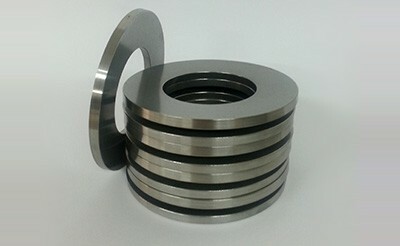 The chemical name of this stainless steel material is X7CrNiAl17-7. This material is not recommended for applications in environments with hydrochloric or hydrofluoric acids. The thermal range for this material is -200ºC a 300ºC.